PCI devices can be added to guests using the graphical virt-manager tool. The following procedure adds a 2 port USB controller to a guest. Detach the device from the system. Power off the guest. Hotplugging PCI devices into guests is presently unsupported and may fail or crash. 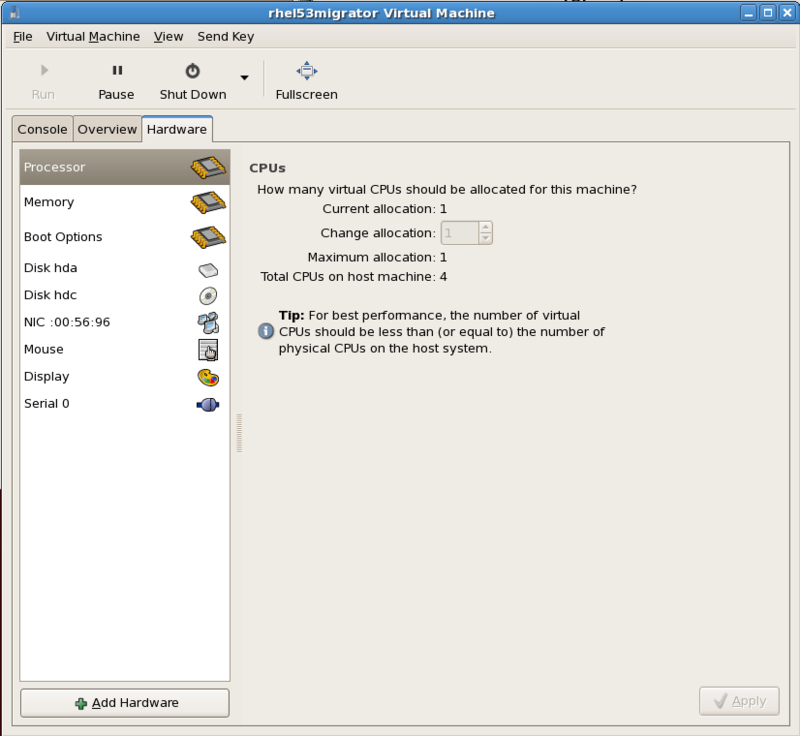 Open the virtual machine and select the Hardware tab. Click the Add Hardware button to add a new device to the guest. 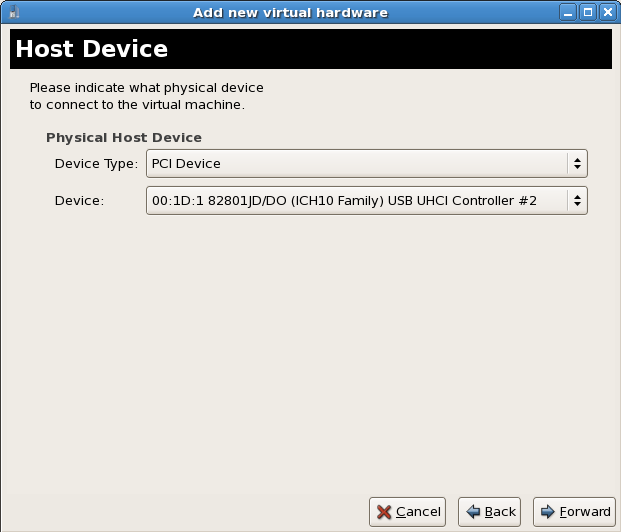 Select Physical Host Device from the Hardware type list. The Physical Host Device represents PCI devices. Click Forward to continue. Select an unused PCI device. Note that selecting PCI devices presently in use on the host causes errors. In this example a PCI to USB interface device is used. Click the Finish button to confirm the device setup and add the device to the guest. The setup is complete and the guest can now use the PCI device.